Our website could not be accessed for one month because of the revision of domain name. Now the problem is solved. From today on the website can be normally accessed. And all orders are normally in process. Orders after January 10th will be sent in March. 5x Thyme (black) remain, whose card numbers are 92, 94, 96, 98 and 100. (Odd numbers are for white Thymes and even ones for black.) We’ve got requests for white Thymes instead of black ones, so we offer color options for Thymes from today. Customers can choose “white” or “black” for the last 5x Thymes. We will not release Thymes in a second version after they are sold out. New items are being planned. Due to the blizzard and winter storm in the US, all packages to the US are delayed. Please track the delivery status until the weather improves. Sorry for the inconvenience caused. All orders with Sage, which is expected to be sent at the end of February, will be sent on February 28th or later because of the holidays of Chinese New Year. All orders without Sage are sent today. Elaine and some horsemanship supplies for CDS released. 1. Sage released.There is an additional saddle for each Sage in orders which are placed before 1st Feb. 2015. Please notice: this saddle is simply for 1/6 size doll to ride, not for ornament. The saddle will be sold separately from Feb, 2015. 1. Bean Jr., Bean Jr. (full set) and Bean Jr. (special color) released. The product sites are confirmed and will not be revised any more. 2. Twitter account @CamelliaDynasty will be update by our designers. CamelliaDynasty appointed agencies in early 2009 for sales of BJD and accessories for dolls of the brand "CamelliaDynasty". We had good cooperation in the past years. Due to the situation that CamelliaDynasty's organization has changed, we are sorry to announce that CamelliaDynasty dissolves the current agency model from March 21st, 2014. Items which were sold before March 21st, 2014 by CamelliaDynasty's agencies are warranted by CamelliaDynasty from now on. From today "CamelliaDynasty's agencies" do not exist anymore. CamelliaDynasty does not undertake any responsibility for transaction dispute or legal dispute between "agencies" and clients. Facebook account [花朝 Camellia Dynasty] is no longer CamelliaDynasty's official account. Thyme (white) and Thyme (black) released. There is an additional saddle for each Thyme in orders which are placed in December 2013. Please notice: this saddle is simply for ornament, not for doll. The saddle will be sold separately from January, 2014. Candy earphone, Classic earphone, Eggshell Ver.2, Small fox mask (black), Wing armor (small) and Wing armor (large) released. The C.D. Fantastic Pet Bean & Carrot are about to come on April 12th! Don't miss it! PS: The Mokonas will not be offered on or after April 12th. A problem was caused by upgrade of our system. Now the register information of some client, and also their orders, were lost. - For new clients, who have never registered on our system: Just register and place new orders normally. - For registered clients, who have received the ordered items and want to place new orders: Register again and place new orders normally. If you only want to check the previous ordered items, plesase write us a mail: service@camelliadynasty.com. We have another backup database to check. - For registered clients, whose orders were delivered but still not received: We have informed the tracking number separately to the mailbox of Paypal account. If the Paypal mailbox is not the same as the register information on CamelliaDynasty, plesase write us a mail: service@camelliadynasty.com. We will resend the tracking number to the correct mailbox. - For registered clients, whose ordere are not delivered: We have send mails to everyone to ask the delivery address again and get an answer from every client. As normally, we will inform the tracking number by mail after items are delivered. 1. There was problem with the auto-payment system and now the problem is solved. Please retry if you failed in last payment; if any problem, please contact us: service@camelliadynasty.com. 2. 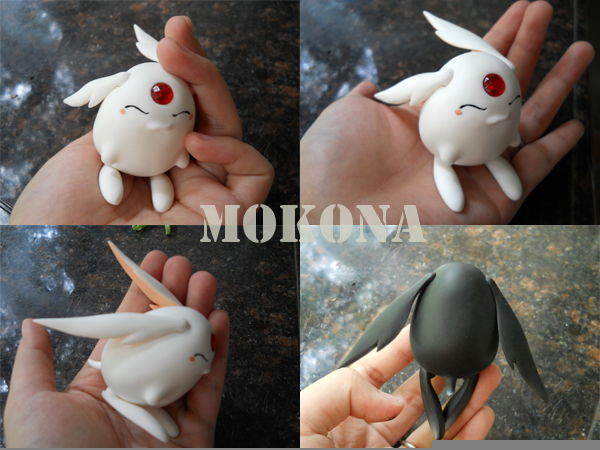 Mokona as free gift: Starting October 15 we offer one free Mokona (random color as black or white) for every $50 of order amount (not including freight cost). It is based on "first come first served" basis. For the reason of chinese new year,the orders in 1st.Dec.2010-31th.Jan.2011 werenot delivered on schedule time.please check the refundment of your order in your paypal account. We have done our business recovery services from 22th.Feb.2011,and the orders of feb. will be delivered at 28th.Feb. Sorry for our faults,thanx again. Sorry for much delays.We have a long holiday (10~25th Feb)for the Chinese Spring Festival.Order 39,45,46 in January will be dispatched after 26th Feb.
Order 29#,30#,31# have been sent to Sydney,Australia by a fault of our domestic transshipment courier in the middle of Nov. The 3 packages will be resended (with an address of "from Sydney"). Sorry to keep you waiting so long.We have moved our website to a new hosting server .Our domain name is as same as before. Release CD's resin accessories on website ! The special sale will last from 6th June to 5th July.If some are sold out ahead the ending time,we will not restock. Here is a sketch (click here) for the guests who would like to see. Thank you! CD's e-shop established! It owes a great deal to camellia-team-mates! I sincerely suggest you registering with the same email address as before if you are an old guest ,so that we can recognize you eazily. Managed about 30 kinds of BJD's resin accessories in domestic only. I felt it would be inconvenient for overseas guests to purchase bits and pieces by writting e-mails .so I made up my mind to build an English webshop in 2009. I felt an immense gratitude to my first oversea guests in my life(from 5th May to 5th July). You forgived all my mistakes and encouraged me a lot. So I have made a detail list of your names and email addresses. You can have a special discount of 10 percent for the next one order (any goods in Camellia Dynasty). 28 white and 28 black "Wong"s (without flaw) will be released on 24th July. The price is $99 . ( including one no make-up Wong, one pair of random glasseyes, a box ). Pictures will be updated on the website at that time. Can be shipped within 10-15 days after payment. With the release of "Wong", guests who order "Abracadabra" or "Om" after 25th July will not acquire a free flaw "Wong", $153 only includes 1 no make-up doll , a pair of acrylic eyes, 2 cursin, 1 set of boxes. If the guests who have ordered "Abracadabra" or "Om" after 25th June decide to order "Wong"s this time, please state it clearly in the mail of "Wong"'s orders before 25th July. They will be dispatched in one packet and you need not to pay the courier fee for "Wong". From now on if the order's total amount is over $700 (any goods), I will give you free international courier. All the orders made before 20th have been dispatched by today. But I am afraid that there will be a bit of delay on the domestic transshipment road to ShangHai. (On 14th June our government proclaimed: checking package strictly which send to Olympic cities to fear of terrorist attack.) When they arrive at ShangHai and clear Customs(about 2~4days), customers will get the final international EMS number by paypal's notice mail. Thank you. The deadly earthquake that rocked Southwestern China on 12th May delayed my schedule about a week(prepared for a charity bazaar). Now oversea orders which have been finished payment before 10th May will be dispatched before 10th June. Orders during 11th~20th May will be dispatched from 11th~20th June. The rest may be deduced by analogy. Thank you. Give full regards to U.S.A. friend who care about Sichuan earthquake. I gave cats as gifts to first batch of boys who abandon their homes. The concept is quite simple: "kitten will accompany you, no matter what happens you need to face life bravely." I think too much of the two boys but take little consideration of cat's own value. Although I have said more than once on various occasions that cats are not used to do sale promotions, costs will not be included in boys's price. I emphasized that cats will go with Abracadabra and Om. I also stressed that flaw cats did not have reselling value. But still there were farrago orders on cats in domestic, and those cases happened more than once. In such vicious farrago orders, doll's value was deducted to ￥500(about$70) or even lower. I can not turn a blind eye to this matter. So I decide to stop sending cats along with dolls emergently in domestic. and carry on none-flaw sales in late June. The specific sales methods and price will be published on website at that time. Foreign guests who sent order mail to me , I will send cats along with their dolls. Mourn the victims of the 8-magnitude earthquake that hit Sichuan province in southwestern China on 12th May,from today to May 21th.